News and analysis from Palestine, Israel and beyond. There’s been a lot of debate over the Israel Anti-Boycott Act. The ACLU—the standard-bearer of all matters related to civil rights and liberties—says unequivocally that the bill violates the First Amendment right to free speech. Others, including some progressives who one would normally expect to defer to the ACLU’s judgment, insist it does not. All of these arguments deal with the hypothetical. To understand the potential impact of the bill, it is illustrative to move from the hypothetical to the actual. I offer myself as a case study. As a liberal Zionist, I fiercely defend Israel’s right to exist, its right to security, and its legitimacy as a member of the community of nations. I also fiercely care about what kind of state Israel exists as and the values it embodies. I want to see Israel flourish as a liberal democracy that fully implements the rule of law, adheres to international norms, and respects the civil and human rights of all peoples living under its authority. For all of these reasons, I vehemently oppose Israel’s now 50-year occupation of the West Bank, Gaza, and East Jerusalem, and the odious policies that undergird it. And for all of these reasons, for decades I have advocated in favor of actions—by individuals, businesses, governments, and international bodies—that support Israel by challenging Israel’s ever-expanding settlement enterprise and ever-deepening occupation. As for activism targeting Israel, I do not personally advocate boycotts, divestment, and sanctions (BDS) against Israel itself, but I defend the right of others to do so. Regardless of why people advocate BDS—and I know from personal experience that it is a convenient lie to suggest that only those who are motivated by hatred of Israel or anti-Semitism engage in BDS—it is a fallacy to suggest that BDS is ipso facto an illegitimate form of protest. Boycotts are protected political speech and are used by Americans—and Israelis—every day to express their beliefs on a wide range of issues. 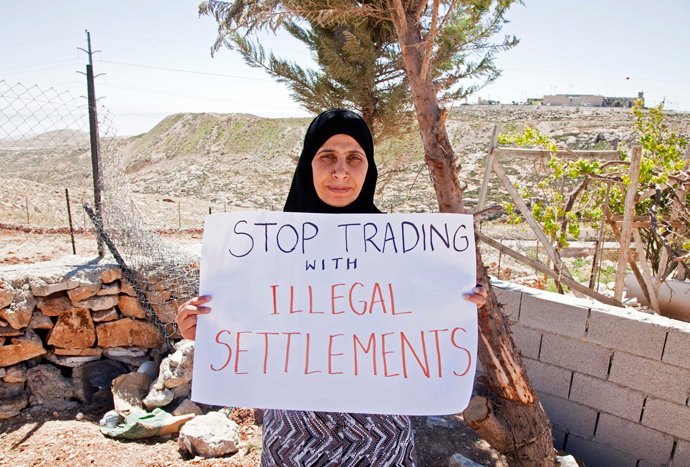 That said, I personally advocate focusing activism on settlements and on the occupation. It is in many ways an arbitrary, manufactured distinction—the government of Israel is inarguably responsible for settlements and for the occupation policies to which I object. But I believe that as a tactic focusing activism this way is far more effective than BDS, making clear that the objective is to change Israeli policies, rather than, as some critics suggest with respect to the global BDS Movement, to undermine Israel’s existence. In practice, this means that for years I have been a prominent voice both arguing against BDS targeting Israel, and calling for boycotts of settlements products, for truthful labeling of products manufactured in settlements, and for boycott and divestment actions targeting the occupation. I have articulated these views in numerous articles, analyses, and reports. I have spoken on university campuses and in synagogues, and lobbied Congress. I even testified at a special session of the United Nations Security Council. I have also long urged groups like the UN and EU to promote respect for international law, according to which all settlements are illegal. When the UN and EU have adopted resolutions or decisions reminding nations and companies of the legal obligation to differentiate between sovereign Israel and the occupied territories, and to refrain from activities that support settlements, I have enthusiastically welcomed, endorsed, and echoed these positions—not at the behest of either body, but because these actions align with my own deeply held political views and, indeed, are what I have been calling on these bodies to do all along. Read the rest of the article on Lobelog.